Stream temperatures affect the growth, health, and behavior of fish, and as the climate and hydrology of southeast Alaska change, stream temperatures will, too. A network of organizations across the region is monitoring stream temperature to establish baseline conditions and document changes over time. 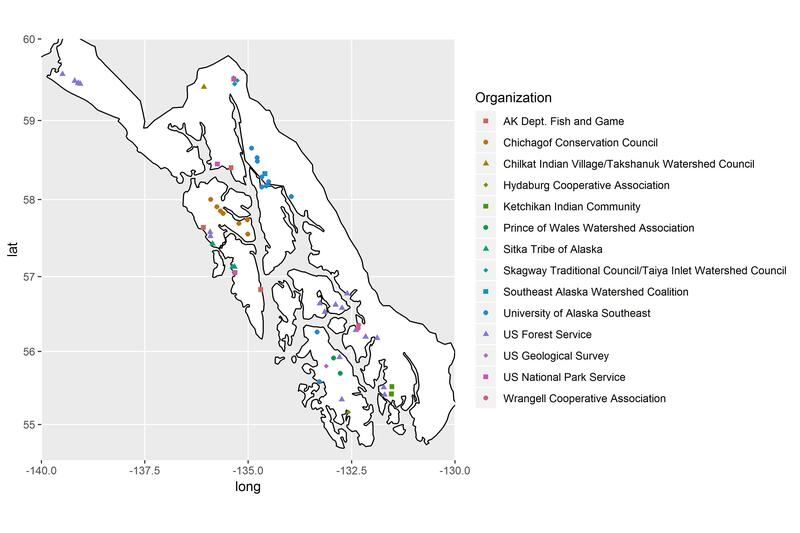 This summer, SAWC and several new organizations, including the Skagway Traditional Council, Wrangell Cooperative Association, and Ketchikan Indian Community established new monitoring locations, and will be contributing data to the regional network. Current sites with continuous stream temperature monitoring.